You know those people? The ones who always have their houses decorated in adorable crafty decor for every holiday? I’m not one of those people. I seem to be perpetually behind for planning anything associated with any holiday….and when I do plan something, it’s usually 2 days in advance. So I’m rather tickled with my new July 4th decorations….2 whole weeks in advance! What!? I’m a huge fan of mason jars. I use them to can the food we grow in our greenhouse, I use them to drink my coffee every morning, and we usually have a couple floating around as makeshift vases. So when I decided to add a splash of July 4th to my home decor, incorporating a mason jar was the obvious choice. 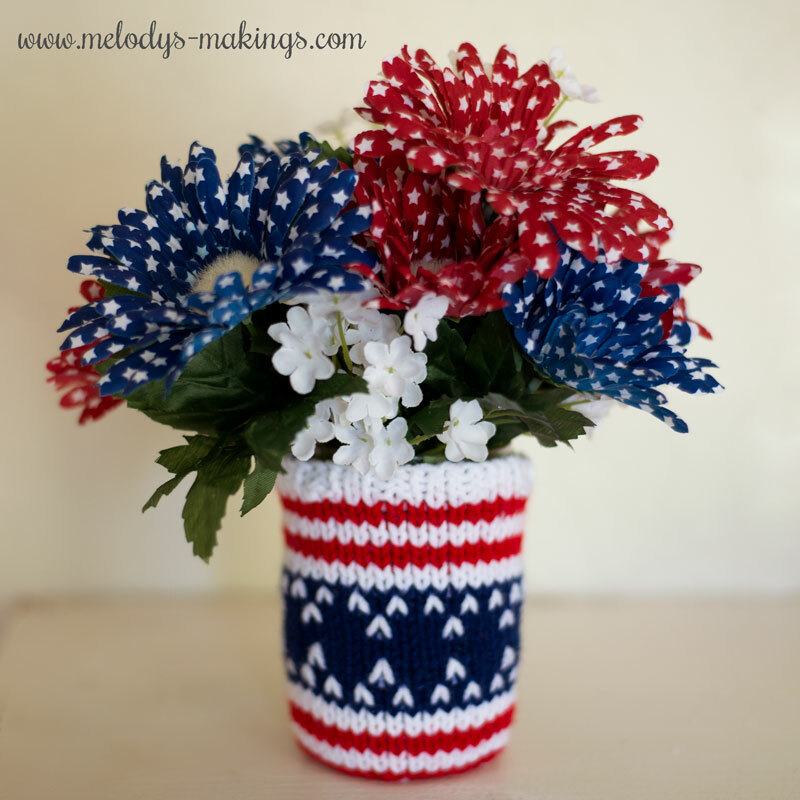 This cute Mason Jar Cozy Pattern comes in either a knit or a crochet version and offers a super easy, cute option for adding a splash of patriotic decor to your home! 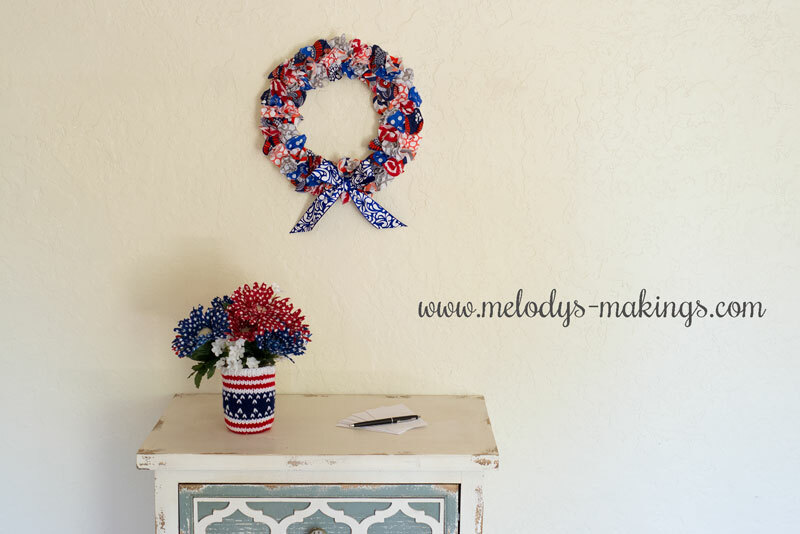 Make sure you also check out my tutorial for making the cute DIY Patriotic Wreath shown in the photo above! 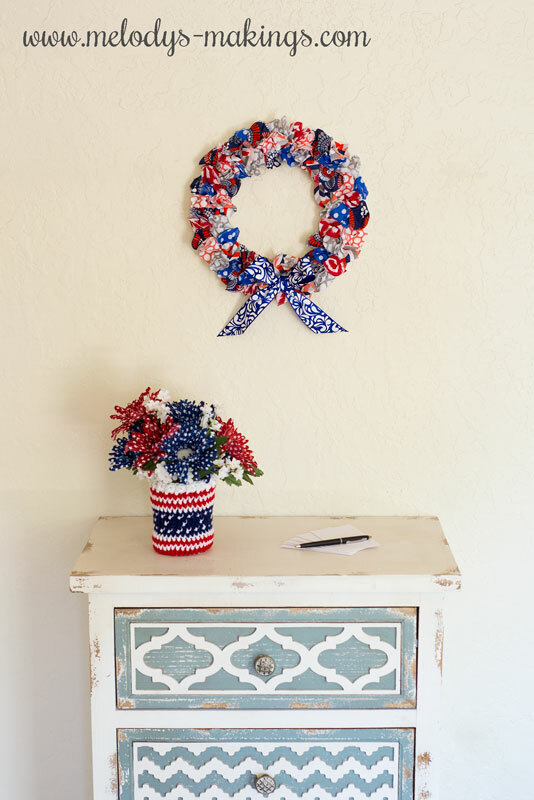 It’s a quick and easy project perfect for July 4th. Since CO 40 for 10″ mason jar, why not CO 80 for a beanie & do the standard decreases for the crown! Very Nice!! Thank you so much for the pattern!! Have a Great 4th of July!! Thanks for this pattern in crochet and knit! I use mason jars and other jars also! Great! Thank you so much for the pattern. Thanks Melody for another fun free pattern! Thanks for the free pattern…..God Bless! !